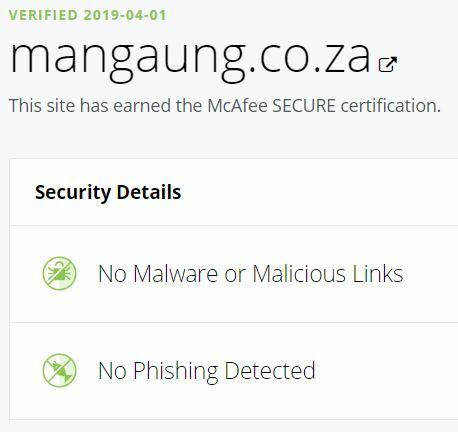 Mangaung Metro Library and Information Services Division will soon migrate its online system from the conventional Integrated Library System to the Prolib Library System, which will be much quicker and user-friendly for library users. The new system will give all library patrons immediate access to electronic e-resources through the Overdrive or LIBBY Application on all smart devices. With the current system, patrons had to wait until a lengthy process unfolded before they could gain access to our Electronic Library. In the process of migrating onto the new system, all books belonging to the nine (9) branches of municipal libraries have to be recorded. Currently, a total of 14 999 items have been issued to library patrons of which 1 381 items are overdue for more than 12 months. In order to ensure a smooth transition to the new system, the Library and Information Services Division urges all library users to return all overdue library material to their nearest branch library in order to ensure that library resources are recorded and benefit of the entire community. 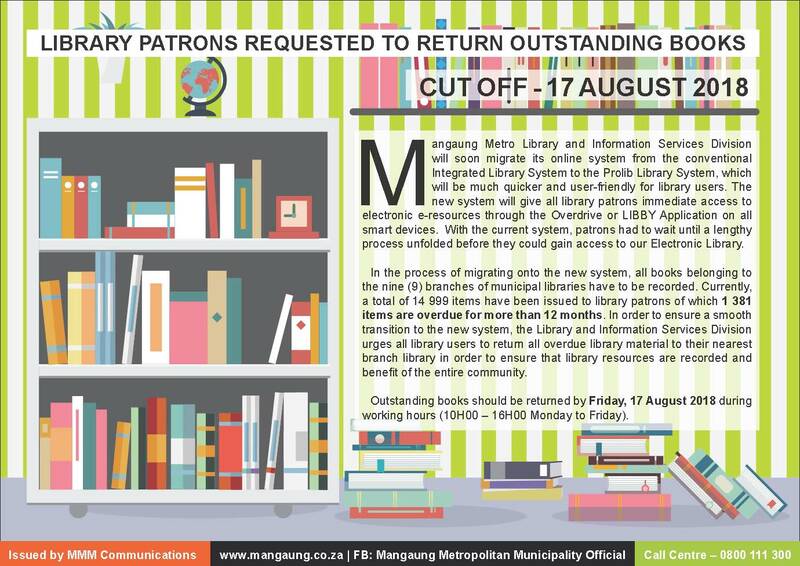 Outstanding books should be returned by Friday, 17 August 2018 during working hours (10H00 – 16H00 Monday to Friday).